Max Cooler Companion trays are made to easily stack, interlocking with the tray above and below it. 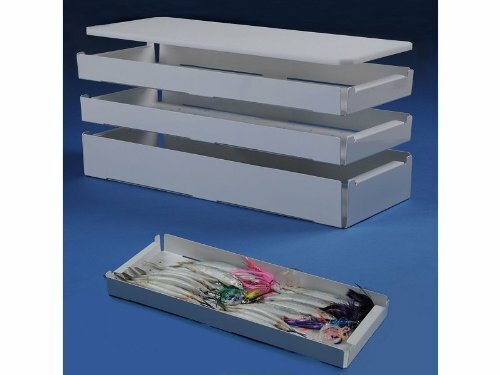 Different depth trays are interchangeable and can be mixed and matched to suit your storage needs. A food-grade cutting board / prep station is available and fits securely in the top tray for added convenience and insulation. The interlocking Max Cooler Companion trays conduct cold up the stack to the trays above while remaining above the ice in the bottom of the cooler. Each tray, interlocked with the tray above/below continue conducting cold from the ice throughout the stack. Items stored in the cooler stay cold and dry.